Explanation: The Earth's dark umbral shadow is shaped like a cone extending into space. Of course its circular cross section at the distance of the Moon is more easily seen during a lunar eclipse. 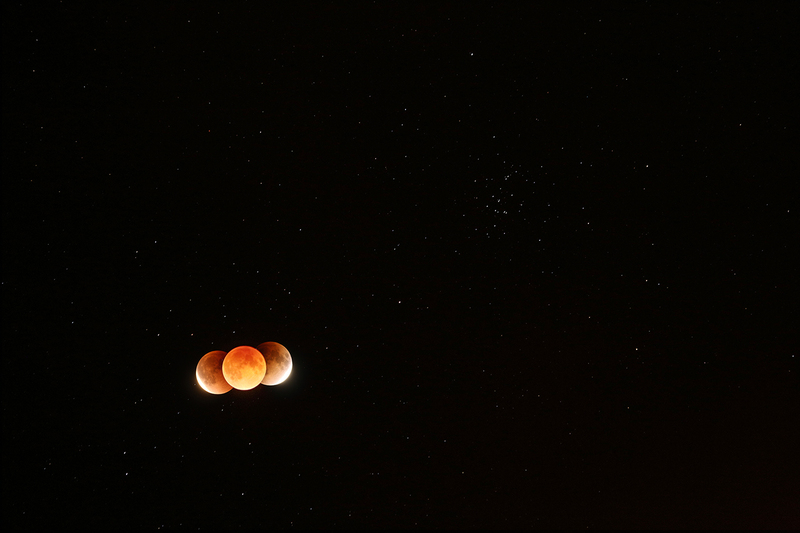 In fact, in this composite telephoto image from Earth's night side on January 31, the Earth's shadow has taken on a reddish tinge. 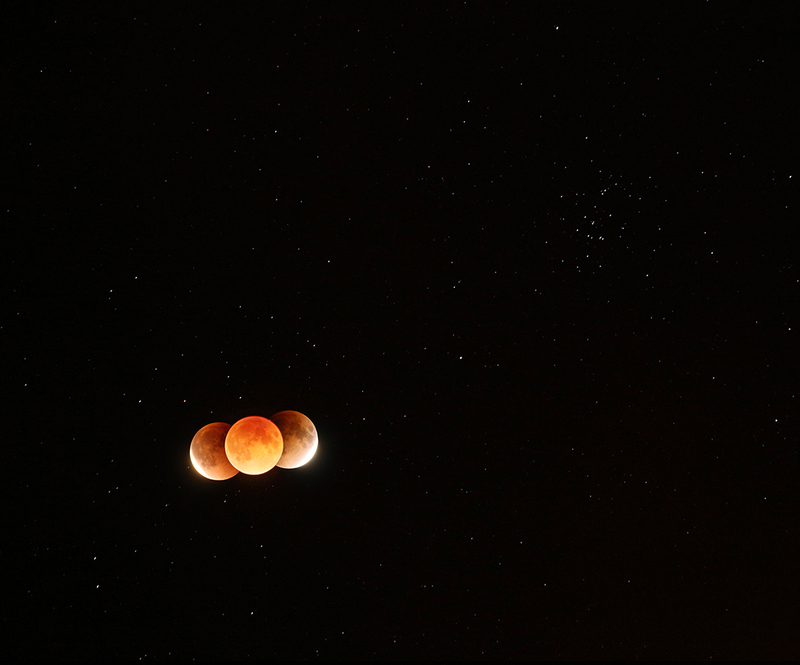 The extent of the shadow along the lunar orbit is illustrated by aligning three frames taken just before the start, near the middle of, and just after the end of the total eclipse phase that lasted about 76 minutes. At the upper right and more easily seen during the eclipse's darker total phase is M44, one of the closest large star clusters. A mere 600 light-years away, M44 is also known as the Praesepe or the Beehive Cluster.